Grace Chapel, National Cathedral School, 3612 Woodley Road, N.W. Jeffrey Chappell will appear in recital with Alain Crepin, professor of saxophone at the Royal Conservatory of Music in Brussels. 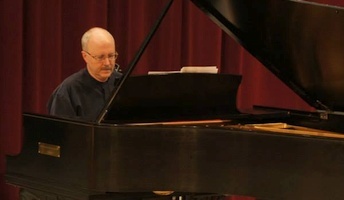 The repertoire will feature works by American, Belgian, and French composers including original compositions by Crepin and the world premiere of his arrangement of "Concerto de Berlin" by Vladimir Cosma. The event is free and open to the public. Jeffrey Chappell will collaborate with clarinetist Robert DiLutis and saxophonist Noah Getz in a program of 20th- and 21st-century American compositions, including the premiere performance of Jeffrey's "Aphrodite" arranged for these instruments. Other composers represented will include James Grant and Gregory Wanamaker.